TOKYO (Bloomberg) -- Kobe Steel Ltd., supplier of aluminum sheet to half of Japan’s auto industry, is considering building a 100 billion yen ($832 million) plant in the U.S. to expand sales to Japanese carmakers operating in North America. The prize is an expected 10-fold increase in demand for aluminum sheet in the U.S., where stricter fuel economy standards have ignited a race among carmakers to save weight and boost the efficiency of new models, driving up demand for the lightweight metal. Kobe's plans could be driven by Toyota Motor Corp., which has been eyeing more aluminum content in its North American vehicles, including the Camry. The size of Kobe Steel’s potential investment is larger than anticipated because the company may need to add capacity at the plant to process aluminum alloy, Senior Officer Hiroshi Kato said last week in an interview at the company’s Tokyo offices. Such an integrated plant would be three or four times bigger than originally planned and to justify the expenditure Kobe would need to find more customers for its aluminum, including those outside the car industry, he said. The company’s strategy in North America was upended after its Dutch rival, Constellium NV, agreed last year to buy Kobe’s supplier of semi-processed alloy in the U.S., leaving the Japanese company with a need to find another supplier or take the processing in-house. If the company can secure new supply of semi-processed alloy, it would revert to its original plan to build a smaller plant with a capacity of 100,000 metric tons, said Kato. He didn’t give a time frame for deciding on the plant’s construction, or where it might be located. Based in the port city of western Japan, Kobe is the nation’s third-biggest steelmaker. 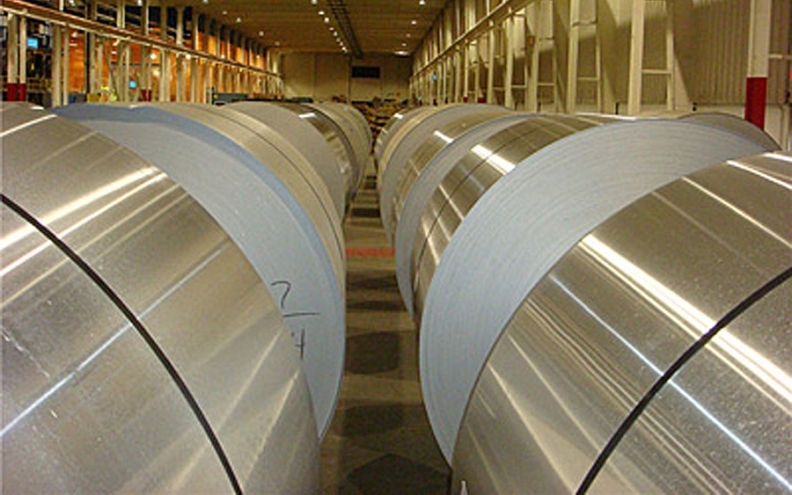 While the cost of aluminum is about twice that of steel, its weight is only about a third. In North America, aluminum sheet sales for automotive body panels are set to expand to 1.7 million tons by 2024, from 150,000 tons last year, Kato said, citing industry data. That’s a bigger market and faster pace of growth than in Japan, where demand is poised to more than double over 10 years to 50,000 tons.